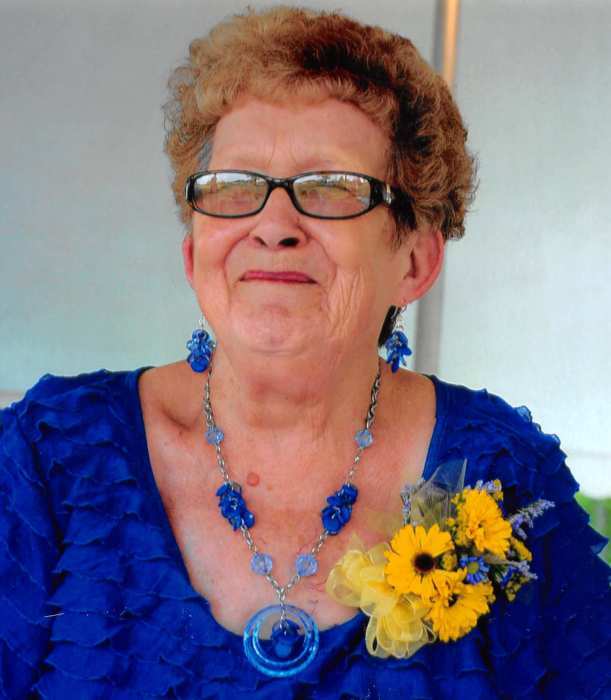 THOMSON, Ga. -- Mary Lonice Hobbs, 81, of Forrest Clary Drive, Thomson, died Wednesday, Dec. 5, 2018 at University Hospital in Augusta. A native of Glascock County, Mrs. Hobbs was born July 8, 1937 to her parents, the late Plez and Maude Thompson Rachels.Mrs. Hobbs worked in the stockroom at Thomson Company for 26 years. After retirement from Thomson Company, she worked for several years as a clerk at Samuels Truck Stop and Bell’s Convenience Store. She was predeceased by her husband of 29 years, Bobby Lester Hobbs, a brother, Preston Rachels; and two sisters, Vivian Booth and Lanelle Rachels. Mrs. Hobbs is survived by her five children: Billy Hobbs (Lynn), of Eatonton; Bobby Hobbs, of Thomson; Deborah Garrison (Gary), of Thomson; Teresa English (Lorian), of Dearing; and Donna Moore (Johnny Ray), of Appling; and her beloved pet, Missy. Mrs. Hobbs had five grandchildren: Kimberly Murchison, of Washington; Ashlee Hills, of Evans; David Hobbs, of Thomson; Cory Hobbs, of Thomson; and Mike English, of Pensacola, Fla. She also is survived by six great-grandchildren: Chevy Kitchens, Kayelynn Murchison, A.J. Hills, Quinn Hobbs, Reef English, and Silas English. More than life itself, Mrs. Hobbs loved her children and supported them in every way. The family would like to acknowledge the medical staff of the third floor Cardio Vascular Center at University Hospital. Visitation will be held 6-8 p.m. Friday, Dec. 7, 2018 at Beggs Funeral Home in Thomson. Funeral services will be held at 2 p.m. Saturday, Dec. 8 in the chapel of the funeral home, with The Rev. Ricky Coule of The Sanctuary, in Evans, officiating. Burial will follow at Savannah Valley Memorial Gardens in Thomson. Pallbearers will be Cory Hobbs, David Hobbs, Ty Poss, Tommy Samuels, Ronnie Pilgrim, and Lorian English. Family and friends will meet after the service at the home of Donna and Johnny Moore, 2191 Morris Callaway Road, Appling. Beggs Funeral Home is honored to serve the family of Mary Lonice Hobbs.